One of the most exceptional cricketer and also the Captain of Indian team, Virat Kohli is an enormous vehicle enthusiast and contains many high-end exotic vehicles. Cricketers earn a lot of money from their matches, Indian Premier League and several other brand endorsements. Being a huge car fanatic, he is frequently seen taking a few of his exotics out for a spin. He was also recently seen in a video driving his all new Audi S5 as a promotional campaign for Audi. 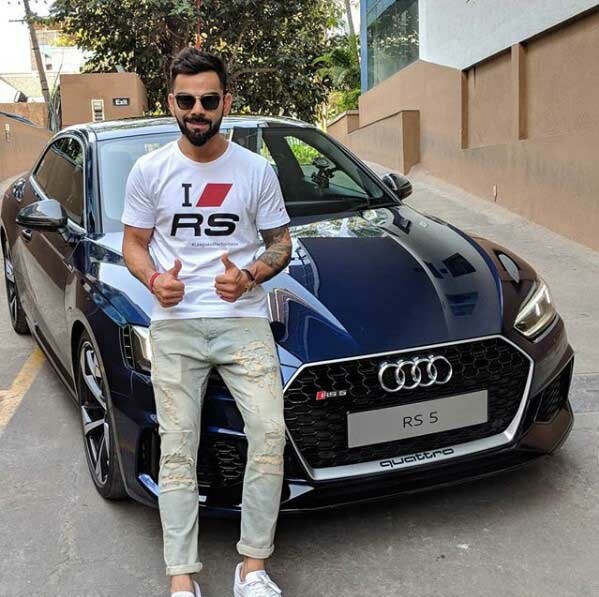 Even though the Range Rover remains highlighted in his garage, Virat’s garage is largely dominated by Audi, which he also happens to be the Brand Ambassador of. His collection includes the exotics like Audi S5, Audi R8 W12, New Audi R8 LMX and the Range Rover Vogue SE. 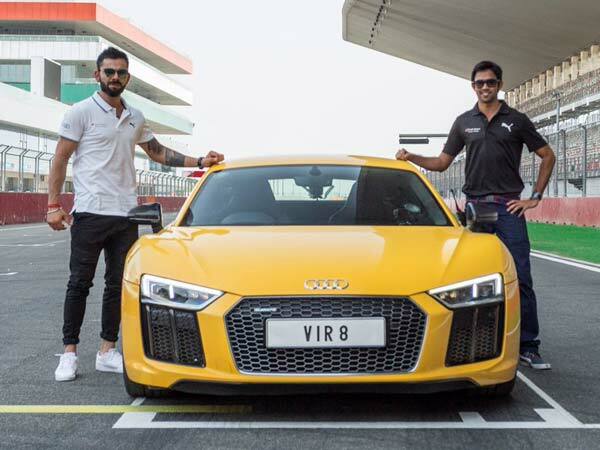 Moreover, the Audi R8 LMX is the fastest vehicle in the Virat’s garage. 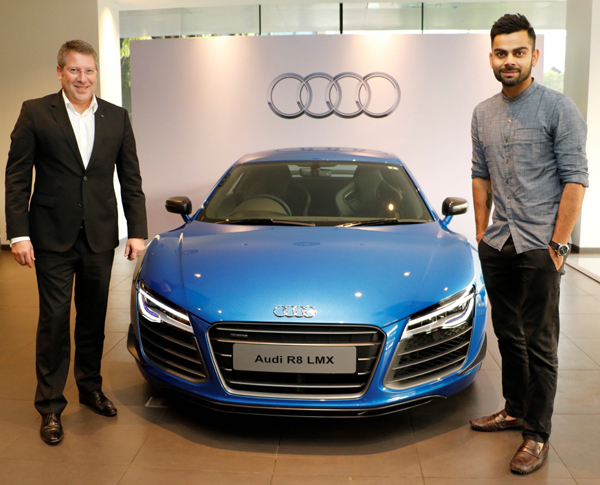 Virat got the Audi R8 LMX version in 2015. This supercar carries a price tag of Rs 2.97 crores apiece and comes with a 5.2 Litre V10 engine. 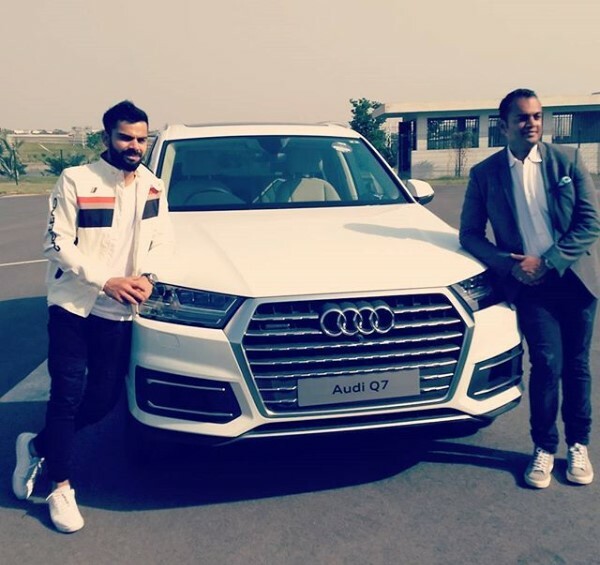 Audi made only 99 examples of the vehicle, out of which Virat Kohli is the sole owner in South Asia, making it quite rare. Power is routed to all the four wheels through a 7-Speed transmission and Quattro all-wheel-drive system. The supercar can hit 100 km/h from the standstill in only 3.4 seconds and move on to hit a top speed of 320 KMPH. The supercar also gets laser headlamps among other high tech features. This new technology enables the headlights to be triggered at 60 km/h onwards and also provides much better visibility compared to LED headlamps. The Flagship Audi Q7 was launched in 2017 in India and is quite one of the most lavish crossover in India. Virat became one of the first customers of the car, and the Q7 finds its place at the grandeur garage of the Captain. The new age Q7 is powered by a 3.0 Litre V6 Engine that churns out 145 Bhp and 600 Nm of peak torque. The engine is mated to an 8-Speed Automatic transmission that delivers power to all the four wheels via the Quattro AWD system. This new Audi Q7 costs around Rs. 73-80.95 lakh. 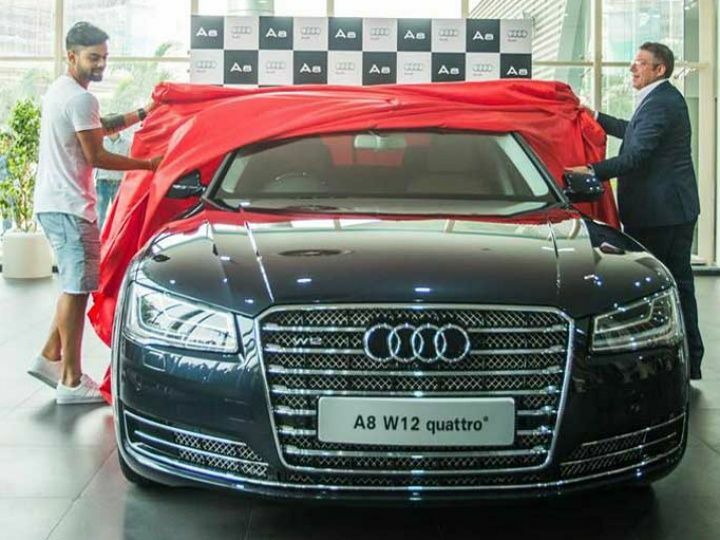 Another very opulent Audi at Virat’s garage is Audi’s flagship limo, the A8L W12 Quattro. He has also been spotted quite a few times roaming around in it. This A8L is the extended wheelbase version and sports a potent 6.3 Litre W12 engine. The engine is mated to an 8-Speed, Dual-Clutch, S-Tronic transmission which delivers power flawlessly to each of the four wheels using the Quattro all-wheel-drive system. The car is priced around Rs. 2 crores. 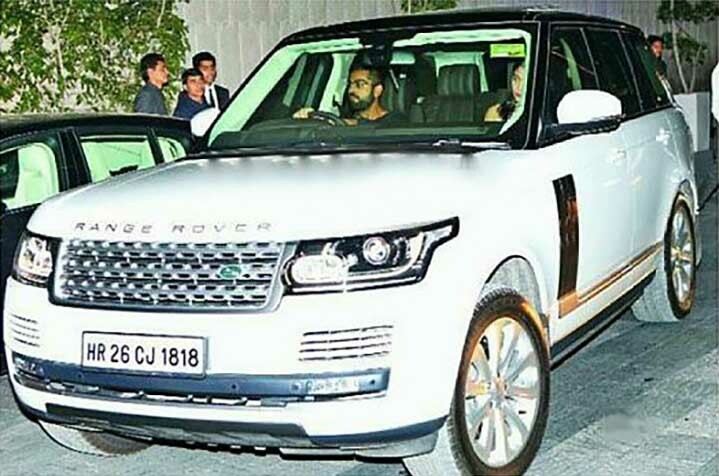 Virat Kohli’s another exotic is the Range Rover Vogue SE. Virat has been spotted quite often in his Range Rover Vogue with wife Anushka Sharma. 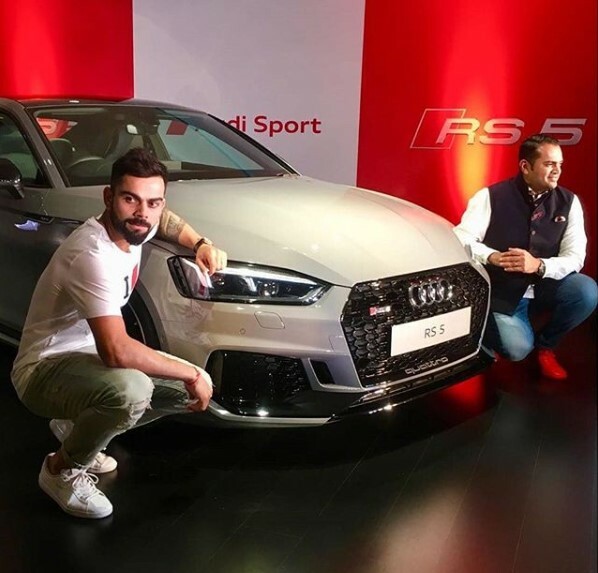 Virat owns the top diesel variant of the vehicle. It is powered by a 4.4 Litre SDV8 engine that produces 335 Bhp and 740 Nm of peak torque. The Engine is mated to an 8-Speed Automatic transmission where 0-100 km/h comes only in 6.9 seconds. The Range Rover is also the favorite vehicle of choice by many celebrities and sports icons. The Range Rover Vogue SE starts from Rs 2.27 crores (ex-showroom). Ahead of the R8 LMX, Kohli already had the R8 V10 in his garage. In fact, he has been spotted quite a few times roaming around New Delhi roads in his white Audi R8. The R8 V10 is powered by a 5.2 Litre V10 Engine that produces 525 Bhp and 535 Nm of peak torque. This Old R8 costed around Rs. 2 crores but now it has been replaced with a newer ongoing model.